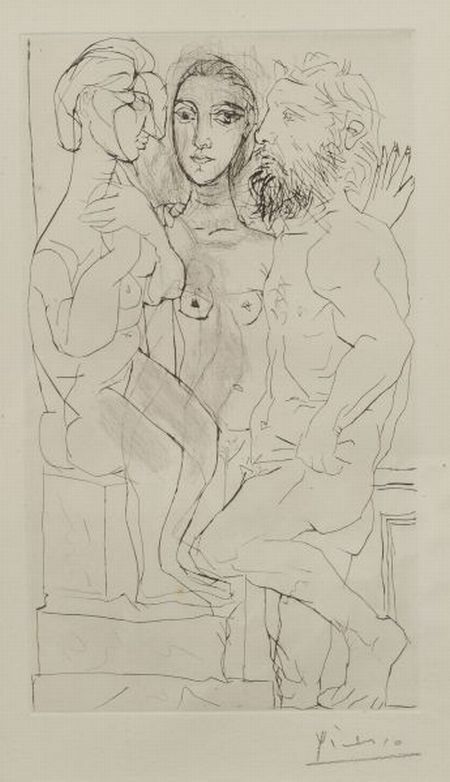 Sculpteur, Modèle et Sculture Assise Plate Forty from LA SUITE VOLLARD, 1933. 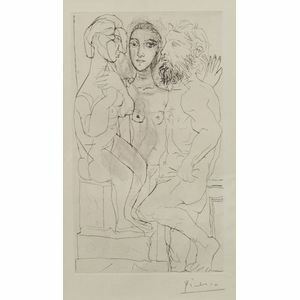 Signed "Picasso" in pencil l.r., identified on label from the Millioud Gallery, Houston, on the reverse. Etching and drypoint on paper, plate size 12 1/2 x 7 1/4 in. (31.8 x 18.4 cm), framed. Condition: Margins 3/4 inches or more, several fox marks, subtle rippling, not examined out of frame.